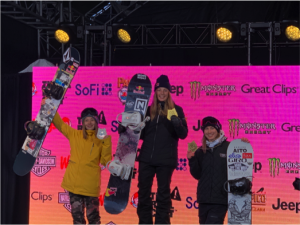 The Winter X Games in Aspen kept its high octane action rolling into Saturday with the Women’s Snowboard Slopestyle, Snow BikeCross, Snowboard Knuckle Huck, Men’s Ski Big Air, Women’s Snowboard Superpipe and much more. New Zealand Snowboarder Zoi Sadowski-Synnott came out on top with a score of 91.00 to seal the gold medal. 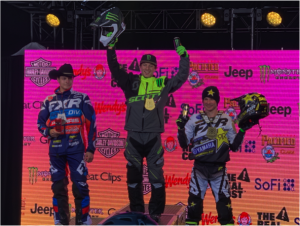 This is Sadowski-Synnott’s second medal of the 2019 X Games after she won silver in the Big Air. Following in second place was Hailey Langland with a score of 90.66 and rounding out the podium with bronze was Enni Rukajarvi. 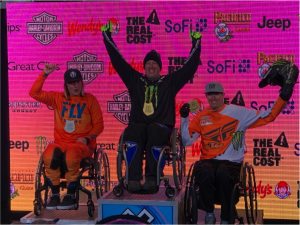 For the first ever Adaptive Snow BikeCross event, Mike Schultz won gold with a time of 5:07.241. Finishing 22 seconds behind Schultz was Tyler Brandenburger to finish with silver, followed by Kevin Royton for bronze. The second new event, alongside the Adaptive Snow BikeCross, was the Para Snow BikeCross. Winning the first ever gold medal in this X Games event was Doug Henry with a time of 4:57.599. Following 19 seconds behind Henry was Will Posey, receiving silver with Leighton Lillie rounding out the podium with bronze. For the Men’s Snowboard Slopestyle, coming in first with an incredible score of 96.00 was Mark McMorris. Rene Rinnekangas from Finland joined McMorris on the podium with a silver followed by Mons Roisland with a bronze. Cody Matechuk finished the Snow BikeCross with a time of 10:31.387, sealing the gold. Hot on Matechuk tale by less than six second behind was Kirchmeyer and Hoyer who finished off the podium with the silver and bronze respectively. 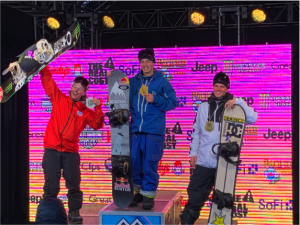 In what is considered to be one of the stranger events at the Winter X Games, Fridtjof “Fridge” Saether Tischendorf came out on top to win the coveted Golden Knuckles. For the Snowboard Knuckle Huck, there is only one winner determined by whoever performs the best trick according to the judges. 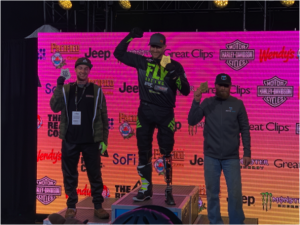 In the final Big Air jump event of this year’s Winter X Games, Bird Rudd came away with the gold, tallying a combined score of 89.00. Following with silver was Alex Beaulieu-Marchand with a score of 87.00 and coming in with bronze was American James Woods with 82.00. In the most anticipated event of the day, the bonafide celebrity Chloe Kim came away with the gold and a score of 84.00. Only 4 points behind Kim was Queralt Castellet to win the silver and completing the podium was Cai Xuetong with the bronze.